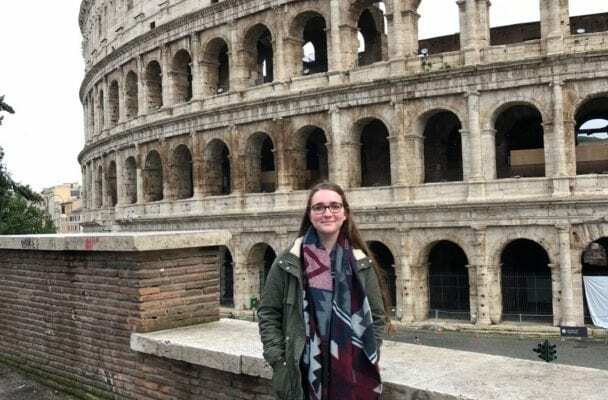 Makayla studied in Italy, Spain, and the United Kingdom on the CIEE: Global Institutes Program. If I could give only one reason to study abroad I would say study abroad because opportunity is knocking! Tell me another time in your life when you will be able to put everything on hold and just go travel to some place for 4 months? You kill two birds with one stone; you’re working towards your degree but you’re also gaining an experience that is like none other and that not many other people have. Even if you go on vacation to Rome it’s not the same as studying there. While you’re studying abroad you’re immersing yourself in the culture and you get a completely different experience than you do on vacation. 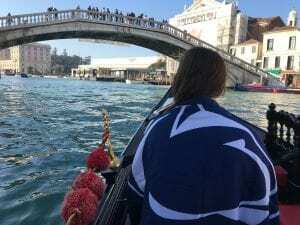 If you need only one reason to study abroad then study abroad because you’ve been afforded the opportunity of the lifetime and it’d be silly to pass up on it! Don’t worry about money or about finishing your degree on time. All of those things will work out! There is financial aid available through many means. There are programs all over the world that offer major classes. 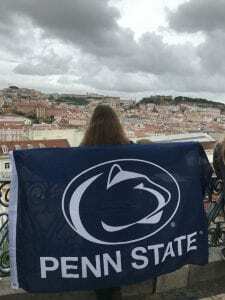 There are opportunities to take 18 credits in one semester abroad (that’s what I did!) and then you won’t be “set back” in any way. There are always away to get around the logistical concerns. Don’t let those hold you back from the experience of a lifetime! I was scared that I was going to miss out on things happening at home. I know that’s silly because I was traveling all over Europe and who cares about what’s going on back here? Family is really important to me (specifically my dogs!) and I was very sad to be leaving them for so many months. I was also concerned about how academics were going to go while abroad. I knew going into the experience that academics were approached very differently all over the world and I was a little concerned that my GPA was going to tank. However, I just tried my very best in all of my classes. I applied as much time and effort to those classes as to the classes I take here and everything worked out very well for me! As far as for missing my family, pictures and FaceTime held me over until I could get home and see them! I have marketed the skills I have learned abroad quite a bit in job/internship searches. Studying abroad assumes that some skills you will develop or better develop are things such as communication, listening, independence, team work, etc. All of those interpersonal skills are things that employers seem to really value and having this experience on my resume as a topic for discussion has really helped me!